If only Delonte has spent his weekend driving the ball to the hoop, instead of his motorcycle, he might be in camp right now. Cleveland Cavaliers guard Delonte West was arrested over the weekend for illegal possession of firearms, after being pulled over for a traffic violation while driving his motorcycle. Apparently, police officers found it odd that someone other than Antonio Banderas would be riding a motorcycle with a guitar case strapped to his back, so they searched the case. Inside, they found two loaded handguns and a loaded shotgun. There’s no telling why West had the weapons or where he was headed. He should have been on his way to Cleveland for the start of training camp on Monday. But his journey seems to have taken a detour, only nobody knows where. Despite his arrest, West was supposed to report to training camp three days ago. He has yet to arrive, marking three unexcused absenses for the six-year vet. Even more concerning than his affinity for Robert Rodriguez films is that he has a long history of battling depression and mood disorders. He missed 10 days of training camp last year while he battled depression. This brings to question, how does someone with such a documented mental illness obtain weapons? Scary thought. More concerning to basketball fans (or at least to LeBron James fans) is what this means for the team? He is their starting shooting guard, which might be the tongue-in-cheek understatement of the year, and an important part of the supporting cast around King James. The team is among preseason Championship favorites and it will be interesting to see how they respond to the latest West mishap. Perhaps the sight of Enrique Iglesias toting a guitar case filled with guns in "Once Upon a Time in Mexico" inspired Delonte West this weekend. After all, Enrique told him "I can be your hero baby." As a Celtics fan, I’ve watched West quite a bit throughout his career. He was a good player while on the team, not a superstar but rather underrated still. When we traded him, I didn’t lose sleep over it, but I continued to follow the St. Joe’s product’s career. I never thought he’d amount to much because he’s undersized and doesn’t excel at anything. But he’s a good defender, a decent shooter, and he’s versatile, making him a perfect role player for a contending team. It’s sad to see that he apparently is still battling the demons in his head. Was it the long socks? The curly orange hair? His height? Ideally, I always saw him ending up with the Celtics. Not as a player. Not as a coach. But as the replacement for our lost mascot, Lucky. I know, I know, he’s not Irish. But for some reason, Delonte always reminded me of Lucky, the Celtic’s leprechaun. The resemblence is there. Maybe it’s because both wore tall socks. Perhaps it’s because they were always the smallest men on the court. Or maybe it’s because of that little orange ‘fro that Delonte rocked from time to time. All I’m saying is picture Delonte West rocking that outfit. It fits right? Either way, West isn’t in camp, rides 3-wheeled motorcycles, and carries his firearms in a guitar case. This can’t be the way the Cleveland Cavs drew up their preseason schedule, right? Ben Gordon – Where Will Amazing Happen Next Year? If there was one single player in the NBA playoffs this year who made himself more money than any other, it was Chicago’s Ben Gordon. The impending unrestricted free agent had himself an official coming out party in the Bulls-Celtics epic seven game series. Not to be confused with a journeyman, Gordon has been always been known as an electric scorer and an elite sixth man who has provided a spark off the Chicago bench (off and on) for the past five seasons. So why is this important? Because elite teams in the NBA have elite scorers, players who can take over a game at will, find his own shot, and sink the buzzer beater. The Lakers have Kobe, the Cavs have LeBron, the Nuggets have ‘Melo, the Celtics have both Pierce and Allen. There are other clutch players around the league, namely Tony Parker, Chauncey Billups, and Dwayne Wade among others. The common theme is that not only does each of these teams have an elite player, they are successful year in and year out. There are other teams in the league that hang around each year, coasting through the year to make the playoffs, only to falter in the playoff. Perhaps they advance a round or two into the playoffs, using smoke and mirrors or having an injured team stumble into a matchup against them. Examples of these teams are the Phoenix Suns, Dallas Mavericks, Atlanta Hawks, Chicago Bulls, and the Orlando Magic. The Orlando Magic?! More on that later. What does any of this have to do with Ben Gordon? Certainly this isn’t to compare Gordon to the greatest players in the league (Kobe, LeBron, et al) but to highlight what the second tier teams are lacking. That’s a go-to scorer who takes over games and wins them for his team. That’s what Gordon has done in numerous regular season games in the past. But during the ’09 playoffs, on a national stage versus the defending champion Celtics, Ben Gordon willed his team to the most thrilling series of the postseason. Take game 4 for example. Gordon hit a game tying three-pointer to end the first overtime. He ended the game playing 50 minutes on a strained hamstring, willing to the Bulls to victory on the back of his 22 point effort. It’s not the volume of the points that mattered in this game, it was clutch timing of them. But if volume is important to some, consider that he filled the bucket with lines of 20, 42, 15, 22, 26, 12, and 33 points in the instant classic series. As an unrestricted free agent this summer, he’s among the leaders in a pretty weak class. It is known that he cares about money above all (having turned down a huge extension from Chicago last offseason) and with other less than stellar options available, some team is going to make him a very rich (and very happy) man. Consider these credentials: he is the 7th best active free throw shooter at 86% for his career, 4th in career 3-point percentage, and a former sixth man of the year award winner. This kind of talent can be enough to put a second tier team into the elite. Remember the mention of the Orlando Magic as a second tier team? They fit the criteria of a team that hasn’t done enough long-term to be considered a yearly contender and don’t have an elite scorer. They struggled against a poor Philadelphia team in the first round and couldn’t dominate a Boston team decimated by injuries. Dwight Howard is an elite player, but not an elite scorer. He can dominate a game from the opening tip, but in crunch time, he isn’t the player a team is counting on to win for them. For all his wonderful talent, he still cannot create his own shot or consistently knock down free throws. What they are missing is a go-to scorer, someone they can hand the ball to at the end of games and get out of his way. Gordon has done that and will continue to. If the Magic can afford him, they should sign him. He is the type of player who can put them over the top by hitting the big shots Howard simply should not take. So if the Magic can sign Ben Gordon, next year the answer to the NBA’s “Where will amazing happen?” just might be Orlando. Michael Jordan – Arguably the greatest player ever to take the court. MJ is synonymous with greatness, a failed baseball career not withstanding. The 1-time NCAA chamption and 6-time NBA Champion is one of the greatest winners the world has ever seen. If there was a game on the line, you wanted the ball in his hands. More often than not, he won you that game. His lore began at UNC, where he was named ACC-Freshman of the Year in 1981. The following year, he buried the game winning shot in the title game, to capture his first National Title. He left a year later to revolutionize the NBA as the third overall pick. A summary of his accomplishments in the NBA: 6-time champion (6-time finals MVP), 5-time league MVP, 14-time All-Star, 9-time All-Defensive First team, and 2-time dunk champion. His image is known worldwide by his dominance. He parlayed that all into remarkable marketing and business success. He also was a 2-time Olympic Champion and member of the legendary 1992 “Dream Team”. Needless to say, there are no arguements that he belongs in the Hall. The only question is whether they rename it after him. David Robinson –“The Admiral” was one of the classiest players of his era, and one of the greatest centers of all time. As a senior at Navy, he was named the National Player of the Year in 1987 and was then drafted first overall in the NBA Draft by the San Antonio Spurs. As a Navy Officer, he needed to serve the country for 2 years before entering the league. He finally entered the league and led a then-league record turnaround, improving the Spurs by 35 wins. He was Rookie of the Year,, 10-time NBA All-Star, an MVP, 3-time Olympian, 2-time Olympic Gold Medalist, and 2-time NBA Champion. He is one of four players to post a quadruple double in a game (34 pts, 10 reb, 10 blocks, 10 assist). He combined with Tim Duncan to become the “Twin Towers” and win the ’98-’99 and ’02-’03 NBA titles. He was also recognized for his sportsmanship in 2001. He was also one of the most physically dominant players of all time. John Stockton – The all-time assist and steal leader, who along with Karl Malone, was a cornerstone of the Utah Jazz for 19 years. The Oregon native put Gonzaga University on the college basketball map after a 4-year collegiate career. He was drafted by the Utah Jazz in 1984 and spent his entrire 19-year career playing for the franchise. He combined with Karl Malone to form the best pick-and-roll duo the NBA has ever seen. For his career, he averaged 13.1 points and 10.5 assists a game. A league ironman, he only missed 22 games in his entire career, many seasons which ended with lengthy playoff runs. 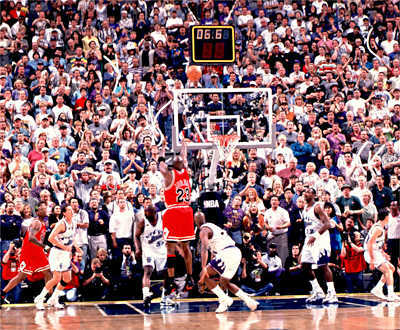 He helped lead the Jazz to 2 NBA Finals, falling short in each to Jordan’s Bulls. He was a member of the 1992 Olympic Dream Team and also the 1996 US Olympic Team, winning the Gold Medal each time. He kept the short-shorts alive well into the 90’s and he ended his career as the leader in assists and steals, two records that are not soon to fall. Stockton was named, along with Jordan and Robinson, as one of the NBA’s 50 Greatest Players of All-Time in 1996. 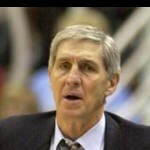 Jerry Sloan – Sloan is one of five coaches with 1,000 career victories and is one of the most successful coaches to stand on the sidelines. He has been coaching the Utah Jazz since 1988 and is the longest tenured coach for one team in any professional sport in the United States. As a player, he was recognized for his passion for defense, which is fitting because that is what his teams are known for now. He has a 60% winning percentage as an NBA coach. He guided John Stockton and Karl Malone to 2 NBA Finals appearances and it is fitting that the coach will be entering the hall at the same time as his star point-guard. C. Vivian Stringer – A consistant winner in her coaching career, leading three different women’s college programs to the NCAA Final Four. She lead Cheyney State College in 1982, University of Iowa in 1993 and Rutgers in 2000 and 2007 to the Final Four. She is the third most winning coach in women’s college basketball history and 3-time Coach of the Year. Accomplishments aside, she is best known nationally for her objection to a comment made by Don Imus in 2007, where he called her and her team “a bunch of nappy-headed hoes.” She gained nation recognition for her stand against the comments. My take – There is no objection from me on the first four individual’s on this list. Jordan is the single greatest player I’ve ever seen play, Robinson one of the classiest, and Stockton and Sloan the faces of a franchise for nearly 2 decades. Which brings me to Ms. Stringer. One can only wonder if the comments by Imus were never made or never reacted to, would anyone really know who she is? It does answer a long-time question of mine: if someone makes a racist comment about a sport nobody cares about, does it make a noise? Nobody watches women’s basketball, and to be cited as one of the most winning coaches in the sport is like calling your son the smartest kid in special-ed. It doesn’t carry much weight in a “sport” where only 2 teams are competitive nationally each year. Not to mention not having won a single national title in such a non-competitive league. Pretty weak credentials if you ask me.